Or, Installing DNS Server role in Windows Server 2012. 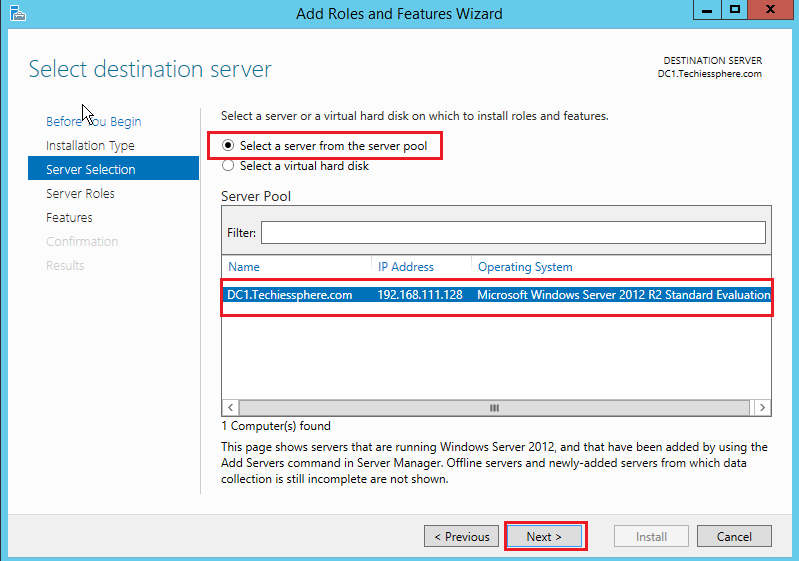 See Also: How to Configure DNS Server in Windows Server 2012? 1. 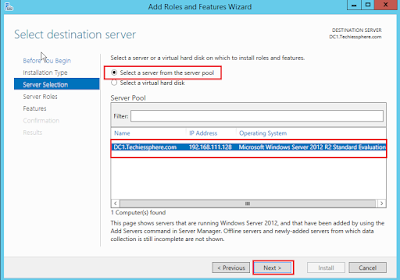 To install roles and features in Windows server 2012 we use server manager. Click on Manage and Open Add Roles and Features. 2. 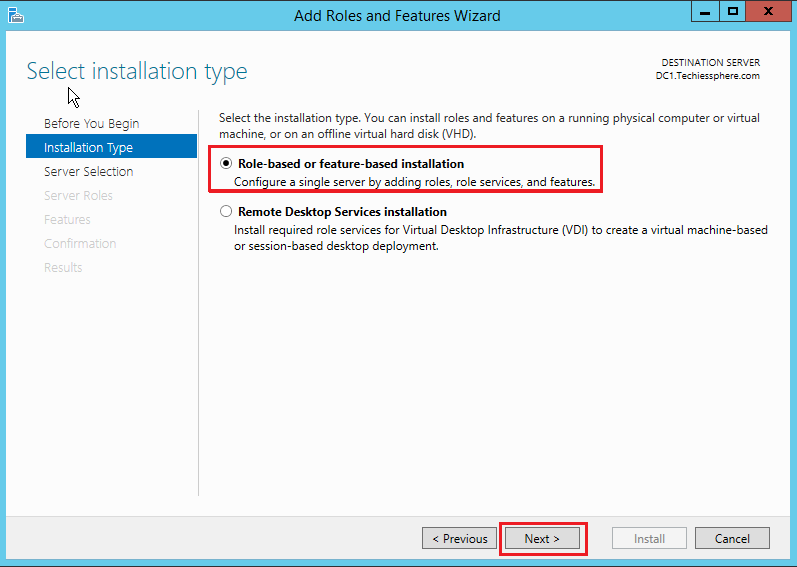 Select “Role-Based and Feature-Based Installation” in Add Roles and Feature wizard. 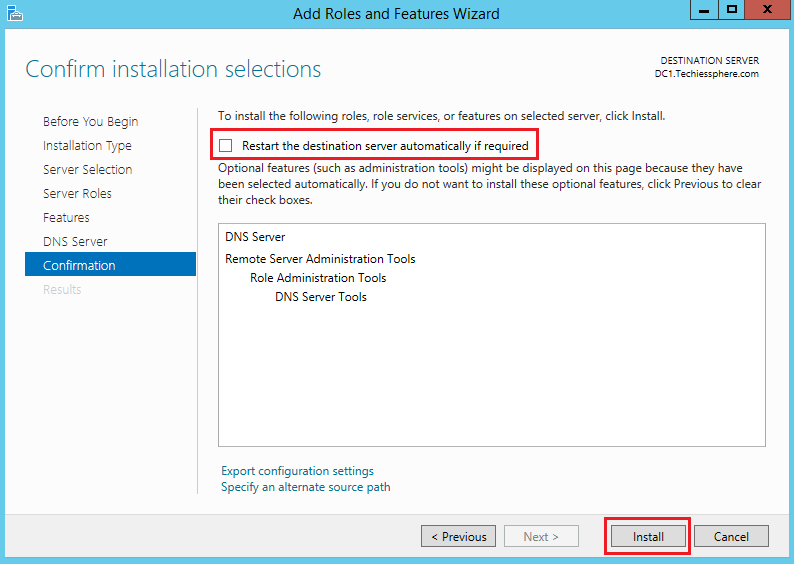 And Click “Next” to Continue DNS Role Installation Wizard. 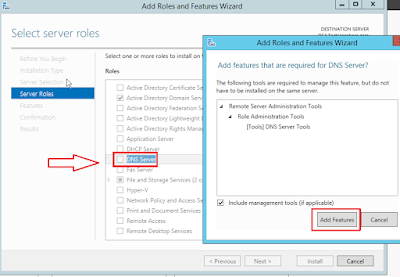 3.Here we have to select Server from available Pool to be install DNS Role. Then click “Next”. 4. 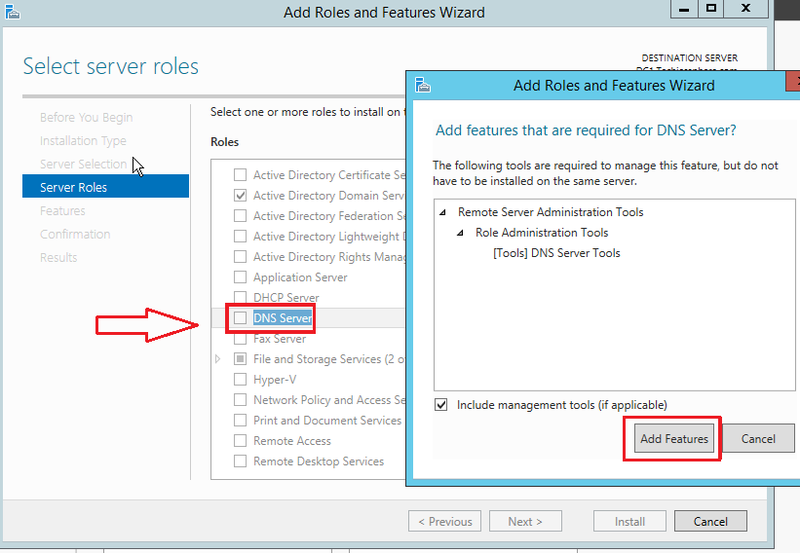 Select “DNS Server” Role and after selecting one pop-up window will to come for “Add Features” that will support DNS server Role. 5. Click next and select “Restart the destination server automatically if required”. 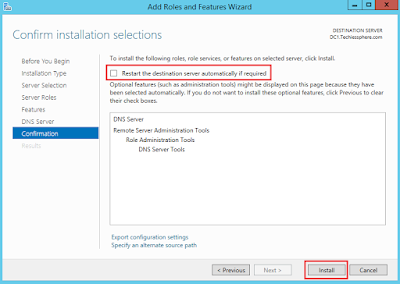 Click on Install and server will start Installing DNS. So after successfully DNS server role installation selected server from Pool will Restart Automatically. 6. Click Yes to reboot the server for installation to take affect.